Geographic Information Systems, also known as GIS, is a technology that is able to save, analyze, and display geographically referenced information. It works by recording the location of a feature on the surface of the earth and linking its location to information that further describes the feature. GIS is a powerful tool that aids in decision making, and can be used to perform a variety of tasks that include data analysis, tracking patterns, and maintaining accurate records. 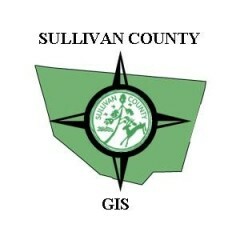 Sullivan County Map - Includes roads, streams, schools, State Parks, State Forest, State Game Lands, and other community parks. Sullivan County has a 36” plotter that is used to produce detailed paper maps upon request. We also maintain several digital data layers that are available for purchase. Open the Mapping and GIS Fees Schedule for additional information about data pricing and mapping services. Links to USGS and PASDA data. Shapefiles from a variety of different themes and data providers. Data on population, income, housing, employment, etc.